Integrated Laser Controller + Servo - AOSense, Inc. 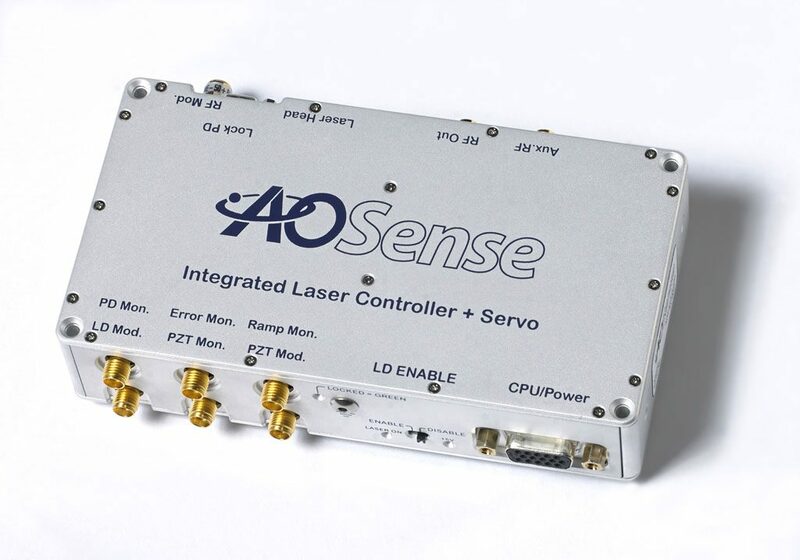 The AOSense Integrated Laser Controller + Servo (ILC-Servo) has all the features of the standard ILC with additional servo features that may be used to lock the laser to an atomic reference line, optical cavity, or optical beat note. All options and adjustable parameters are fully digitally controlled. The Servo portion of the ILC-Servo takes a modulated signal and converts it into a control signal that can change the laser current or the piezo voltage. 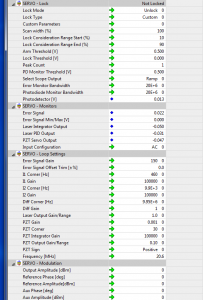 The input signal is amplified by an amount specified in the user interface. The amplified signal is sent to a mixer to be demodulated. The input signal is normally an AC signal, but it can also accept a DC signal that is already demodulated. The ILC-Servo generates a sine wave signal at a specified frequency that can be used to modulate an external AOM (not provided) and is sent internally to a mixer to demodulate the input signal. The error signal is then sent into a PIID. 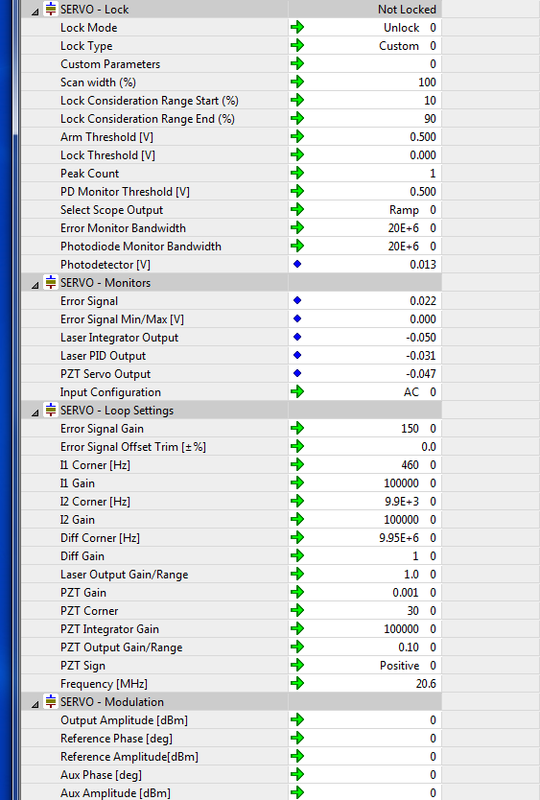 The gains of the D and I stages can be specified in the user interface as can the frequency cutoffs to control the laser output current. There is an additional integrator that controls the piezo voltage. The unit can slowly adjust the temperature of the laser to keep the laser current integrator value in range. The ILC-Servo can be used to scan the laser current or the piezo voltage and lock to the appropriate point of the incoming signal. The user can specify the voltage levels in the error signal to indicate the proper lock point. This technique works with optical cavities (high or low finesses), Cs and Rb atom saturation spectroscopy cells, and beat note locks. Our External Cavity Diode Lasers (ECDLs) work perfectly with our ILC and ILC-Servo controllers. Just need a simple laser controller without a servo? 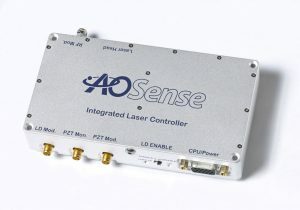 Check out our Integrated Laser Controller (ILC). Please contact us for a quotation or more information about our ECDLs or controllers. AOSense is seeking talented scientists, engineers, and support staff to help build world-class atom optic sensors. See our Careers page for current openings. AOSense © Copyright 2018. All Rights Reserved.